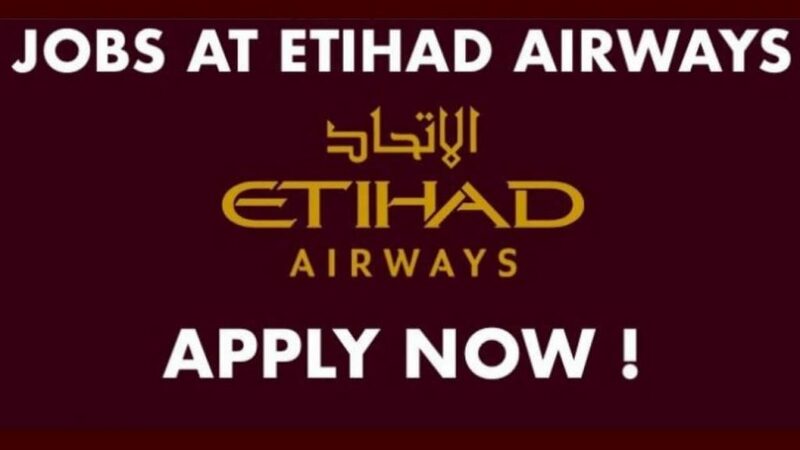 Etihad Airways Careers – Hello everyone, welcome to Aviation Dreamer. Where you will get a exciting news about Etihad Airways Careers. Yes, today I will write on Etihad Airways Careers for Technical Asset Control Officer. So, if you want to work as Technician in Etihad Airways. then you are in the correct place to get information. United Arab Emirates’s national airline Etihad Airways was formed in 2003 to bring “Abu Dhabi to the world”. For years, he has emerged in the Etihad Aviation Group, a diverse global aviation, and travel company, one of the world’s most acclaimed industry brands. The airline flies to 90 destinations with 110 fleets of Airbus and Boeing aircraft, which carries 18.6 million passengers annually and carries 580,000 tonnes of cargo in 2017. Etihad Airways has received many awards for offering our services and products, cargo, loyalty program, training and maintenance, repair and overhaul (MRO) service in recent years. The group is composed of seven business departments – Operations, Commercial, Maintenance, Repair, and Overhaul (MRO), Human Resources, Finance, Support Services, and Transformation. To manage the Etihad owned assets which include Aircraft Spares, Engines, Nacelles, Tools, and Equipment through controlled processes and approved procedures to deliver maximum efficiency in terms of availability and utilization avoiding any obsolescence or surplus to yield the minimum cost of ownership. Control the assets owned by EY by monitoring the contracted services with the MRO and part support providers who will be managing the inventory and logistics functions to ensure full accountability of the all the spares in a shelf to shelf process. Act as an account manager in controlling the assigned assets or asset types to have full visibility from procurement to disposal in quantities and values. Manage relationship with suppliers and monitor vendor performance in coordination with MRO to achieve advantageous service levels and monitoring performance correction programs where necessary. Review, manage for improvement and report on vendor performance to supply chain targets. Review and oversee in a holistic platform the expediting of open orders of the assets repairs and refurbishment to a ‘zero overdue’ policy thus optimizing material availability and avoiding delays. Also keep a good control on the cost related to the repairs, internal and external, and initiate corrective measure incoordination with the MRO in case required. Keep appropriate records and control the contracted costs and over and above costs. Review of O & A claims to ensure only the cases which can be fully justified are approved and maintain all records of such O & A costs for periodical review and initiate corrections in procedures or processes which are the causes of such O & A costs. Closely study and understand all potential revenue generation opportunities using the EY owned assets and ensure the potential opportunities are utilized without compromising on any cost burden on EY. Support the provisioning activities of EY assets taking place from time to time in identifying the right parts, negotiating the best deal for the best benefit of EY to ensure the best terms such as extended warranties, reliability and modification guarantees, reliability support and other better beneficial options explored. Keep control of the leased assets and ensure the reconciliations are done on time and any parts changes or interchangeabilities are appropriately recorded to ensure full reconciliations without any missing parts incurring additional cost to EY. Control the ad-hoc transactions such as loans/ exchanges by ensuring maximum availability by achieving reduced TATs, FOC support from vendors against reliability, avoiding return delays etc. Identify cost saving opportunities and revenue generation venues and take appropriate steps on the execution of the same with senior management closely monitoring and reporting progressively till accomplishment. Identify internal/external training requirements to enhance staff knowledge, career development, and performance to the best industry standard. Also understanding the policies and procedures of the organization to ensure strict compliance and governance. Any other duties as deemed appropriate by Asset Management or SGC. Technical degree/ Diploma from any reputed Universities required. Minimum five (5) years work experience with at least three (3) years in a Planning or Analytical role in a technical division in aviation. The added advantage will be on Rotatable Planning and Rotatable Management skills. Must be able to demonstrate proficiency in Asset Management and data analytical skills. Trained in Supervisory and execution skills. Good understanding and knowledge of technical documents and aircraft parts specifications. Technical knowledge on general maintenance requirements on spares and equipment. Knowledge of aviation tools and ground support equipment commonly used. Knowledge of Aircraft Maintenance Plans and technical requirements. Knowledge of basic aircraft configuration management. Ability to negotiate at the highest levels with suppliers, OEMS and other vendors. Excellent written and oral English language and communication skills. Ability to produce high-quality documentation and reports. Aptitude to work and coordinate with various sections/vendors/customers. Click Here to apply it online. just you need to fill an online form and upload the required documentation to the Etihad official website.